For 15 years, the Bill and Melinda Gates Foundation has been a driving force behind efforts to improve our nation’s public education system. It has invested hundreds of millions of dollars in programs that have tried to change how America teaches its children and to ensure a high quality of education for every child. 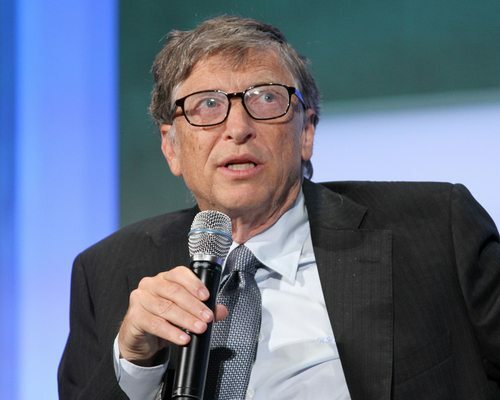 It is worth noting that some of these investments have, by Bill Gates’s own admission, been failures, specifically the Small Schools Initiative and InBloom, an initiative that would have collected information about school children in a national database that proved very unpopular with parents. But Mr. Gates spelled his new vision out in a recent speech he gave at his foundation’s headquarters. All of the major elements of school reform that have become the matters of great debate (school choice, high stakes testing, teacher evaluation and the Common Core curriculum) are included in his vision of improved education. Every student deserves high standards. Every student deserves an effective teacher. Every teacher deserves the tools and support to be phenomenal. And all students deserve the opportunity to learn in a way that is tailored to their needs, skills, and interests. This is the combination of advances we are backing that we believe will transform America’s schools—and at the center of it all is an effective teacher. In a wide-ranging presentation, Gates saw the strengths of this approach, recognized a few of the problems that have been encountered, and strongly committed to continuing forward along this path. Gates developed much of his understanding in the Foundation’s early research, which studied schools that were showing improved performance as measured by rising test scores. He believes they found a set of common practices that are the basis for their effort to improve schools. It turns out that they excel at supporting teachers. They use multiple measures of effectiveness that are backed by evidence. They train and certify classroom observers. They provide teachers with instructional tools aligned to the Common Core standards. And—this is crucial—they focus their feedback and evaluations on activities that help the teacher get better in the classroom. In addition to implementing this this new approach to teacher supervision, Gates believes student test scores are an important part of rating teacher effectiveness. The Measures of Effective Teaching project looked at another factor in teacher evaluations, and that is the growth in students’ test scores. The study found that growth in test scores tells you something about a teacher’s effectiveness—but far from everything. It has to be balanced by other factors, like classroom observations and student surveys. Unfortunately, listening to the debate over this subject, you might think that we’re forced to choose between two extremes: either using test scores exclusively to determine a teacher’s evaluation, or not using them at all. That’s a false choice…. In my view, test scores should be one part of the mix. But we also need to make sure that every evaluation system is transparent, makes sense to teachers, and is embraced by teachers. There’s one other pivotal step in the movement for strong feedback and improvement systems, and that is the adoption of high, consistent academic standards throughout the country…. Unfortunately, when it comes to the Common Core, the attacks have drowned out the facts—and the fact is, the standards are starting to work for students and teachers. […] If we want to achieve excellence, we have to define excellence. And you can’t define it based on politics or individual preferences. You have to define excellence by anchoring it in something real—like getting a good job, or getting a higher ed degree that means something in the workplace. That’s what these standards do: They ensure that students are gaining the skills and knowledge they need to get a good job or succeed in college. Gates sees the controversy that has grown around the Common Core as one of execution, and not a flaw in the basic approach. I believe much of the difficulty with the Common Core standards came because the advocates—and I include our foundation in this category—didn’t do enough to explain them early and clearly. Once states adopted the standards, parents needed to hear from principals and teachers and superintendents about the reason for the changes, how they would help their kids, and how things would be bumpy for a number of years as teachers adjusted to the new standards. But I also understand why this step was missed. Principals and teachers and their supporters were busy working urgently to figure out how to make the standards real in classrooms. The progress we have seen so far is fragile. In places where feedback and improvement systems are well designed, they’re generating excitement, and teachers are embracing them. But in places where the systems hold teachers accountable without giving them the support they need to improve—those systems are provoking resentment and distrust. Teachers are rejecting them, and students are losing out on the opportunity to make big gains in achievement. Will the districts and states with the most effective systems keep those systems in place? Will their best practices be adopted throughout the country? Or will we retreat from these reforms, and go back to a time when all teachers are forced to make their way up the learning line on their own? The future of our students hangs on the answer. And the answer depends on all of us. Some concerns that Mr. Gates did not address are important to note as well, for they define many issues that are very much a part of the national debate about the future of public education. Apparently, Mr. Gates gives no credence to the volume of research showing that student performance is heavily determined by family wealth and race. He continues to advocate for and invest in a program that ignores the need to address and fix our nation’s growing economic divide, and that ignores the continued impact of race on the lives of our children. Implementing many of the programs supported by Gates is expensive and requires ongoing funding. But ensuring that schools have the funding necessary for effective education does not seem to be on the Gates agenda. And finding ways to support the added costs of new programs, like the type of teacher observation and feedback systems that Gates sees as critical, has already been seen to be problematic. Like the heavy preselling of an expensive movie, advertising can boost opening-day numbers, but a film—or a program—rises or falls by word-of-mouth.